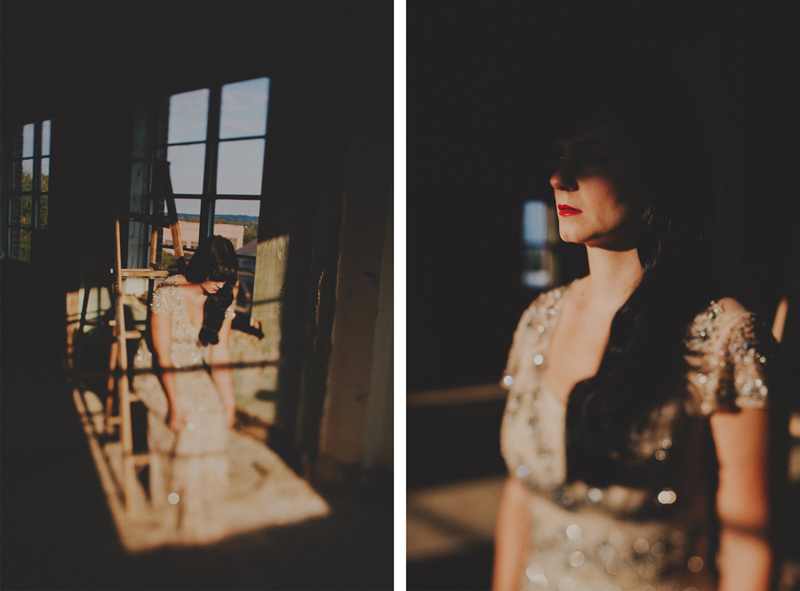 Always an honor to have my work featured by the wonderful Ruffled Blog. 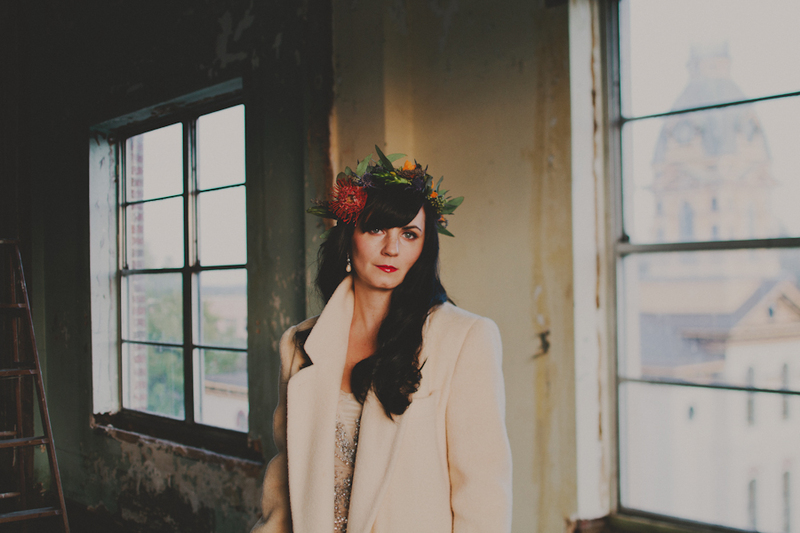 Heather and Garrett's November wedding from last year was intimate and unique and full of hand made love. 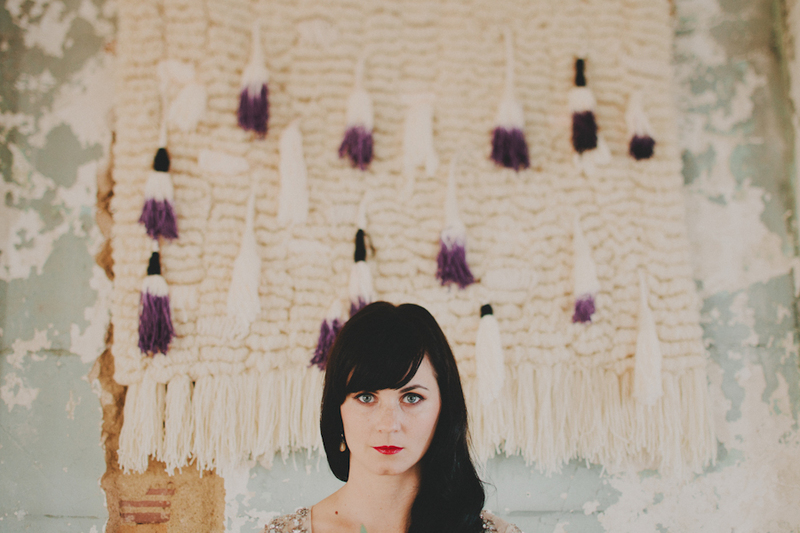 Check it out over on Ruffled. I've always been a sucker for a good collaboration. Working alongside people inspires me and just makes me happy. I love witnessing people in their work environment -- watching them make magic from their head come to life. I had the undeserved privilege of working alongside Ashley Hayward of Ruffled and McKinna Hahn of House of Ceremony a couple weeks ago. 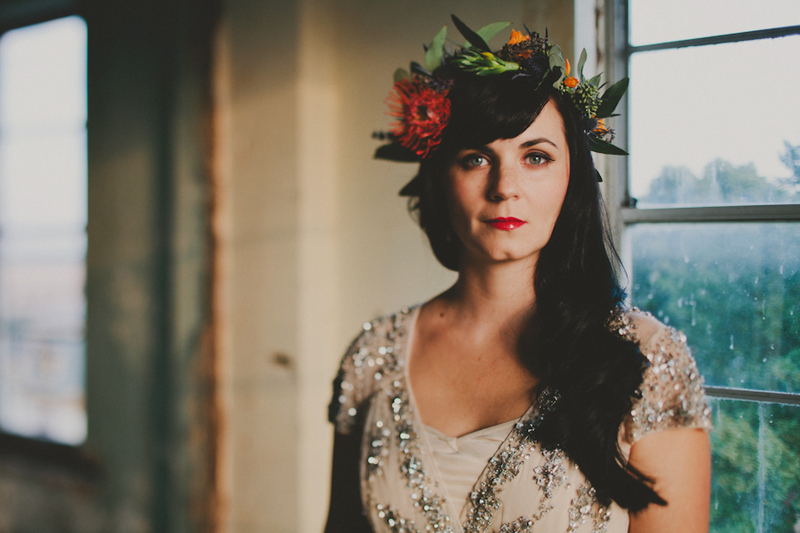 Ashley put together this beautiful Autumn inspiration for brides and McKinna wore incredible dresses that danced in the fall light. Just a few favorites for now. More coming on Ruffled later this week. Styling by Ashley. She has talent exploding out of herself. Headpiece by McKinna. 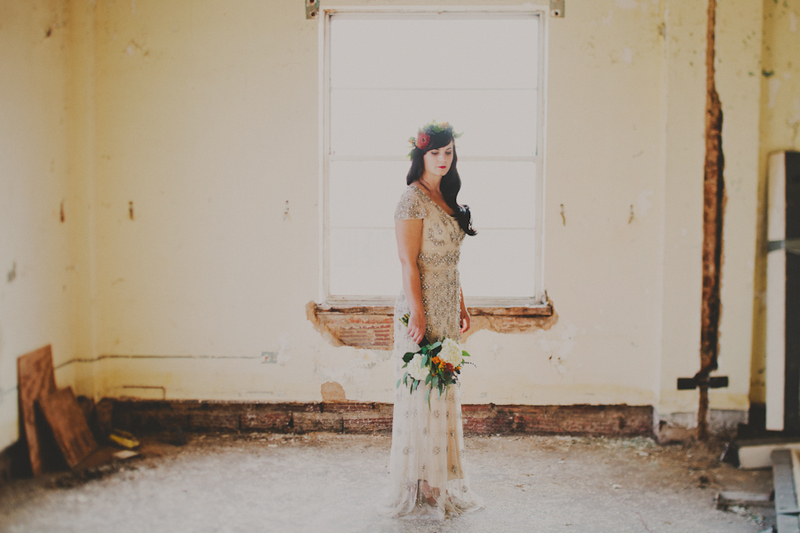 This dress by BHLDN. Other dress from McKinna's vintage collection. See similar items in her shop. Five months later and I still cannot believe I had the privilege of documenting such a unique love. Nikelle and Gino's nuptials were some of my favorite ever. And Ruffled thought they were pretty lovely too. Their write up contains a little window into Nikelle and Gino's appraoch to such a happy wedding. Always an honor to be featured over there! Thank you Ruffled! Rememer this glorious day? It made an appearance on Style Me Pretty yesterday. Always an honor to have photographs featured on the ever-inspirational wedding blogs but this wedding was downright beautiful because of Taylor and Richard's vision and Melissa Riley's wonder-woman-like-qualities! I feel so fortunate to soak up such creative genius. Inspired By This is a website dedicated to all things inpirational...beautiful weddings, homey homes, happy photographs of children and mothers-to-be. It's a pretty lovely place to hang out if you're itching for some visual encouragement. It was an honor to receive an email from these guys mentioing that they were inspired by the photogprahs of Katrina and Hutch from a couple months ago...they were featured over there this past Friday! Go check it out! After our last endevour, Ashley and I decided we would try to make a habit out of collaborating. 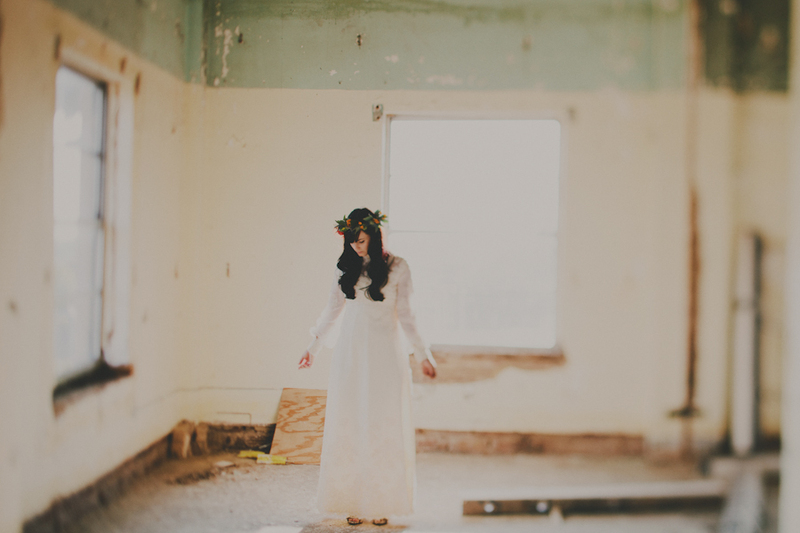 Inspiration came knocking on Ashley's door pretty quickly when the Ruffled team came up with the grand idea of showcasing this incredible handmade dress from their shop in a spring shoot that incorporated a little bit of Easter. 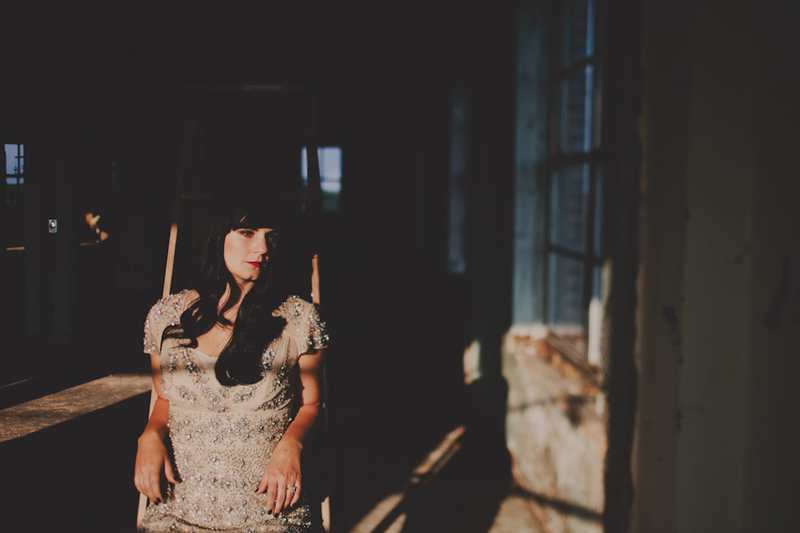 I was honored to have documented another bit of the magic made by Ashley. You can see it all over at Ruffled. 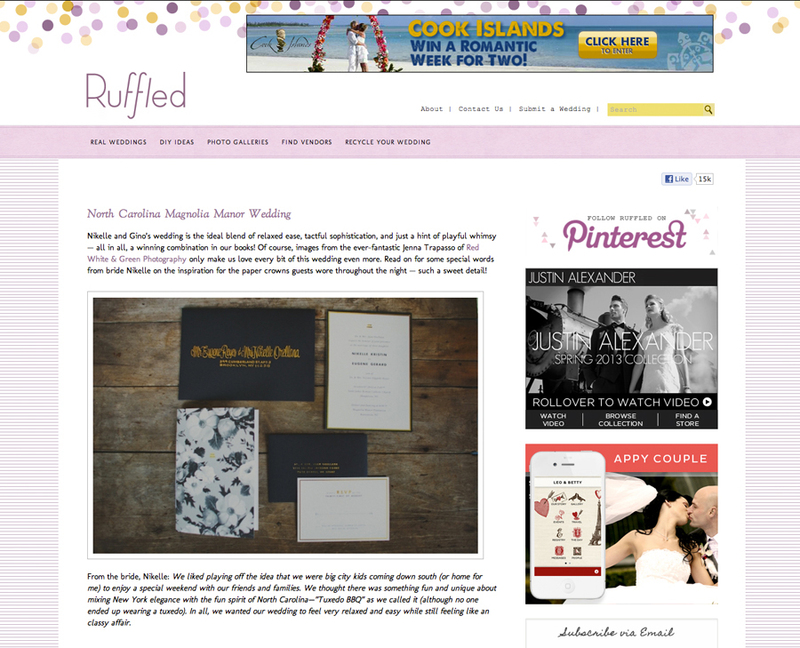 I am more-than-honored to have been featured on the wonderfully creative and inspired Ruffled Wedding Blog this afternoon! The shoot that they featured was a labor of love from many talented local wedding vendors and I just had the incredible privilege of photographing it. You can see the full feature right here...and more details coming soon in a blog post! But for now, many thanks to Ruffled for the shout out! 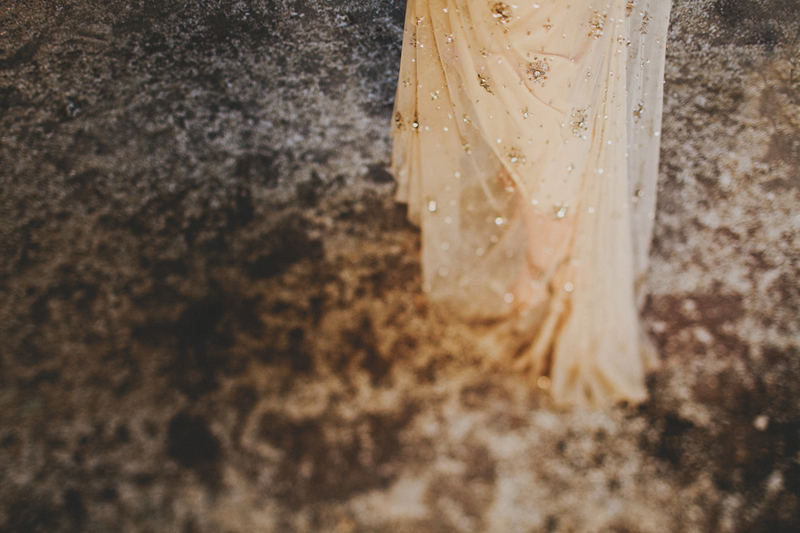 This past Friday I had the incredible joy of gracing the virtual pages of Green Wedding Shoes! You may remember the Nordstrom window designer and the gourmet chef...coming together to make one incredible hand-made wedding in the Outer Banks? Rachael and Steve (and Rachael's rad bridesmaids, as she puts it) poured so much of themselves into their wedding day. It wasn't the amount of details they had or the dollar sign on each of those items that made this wedding beautiful -- it was the care that these two took to make every inch of their wedding about who they are. That's a beautiful thing! There are so many wedding blogs out there, offering so many different things...Green Wedding Shoes has always been a favorite of mine because of the unique perspective with which Jen approaches weddings. There is a little bit of soul in everything that hits that webpage. Honored to be a part of it! Check out the feature right HERE! 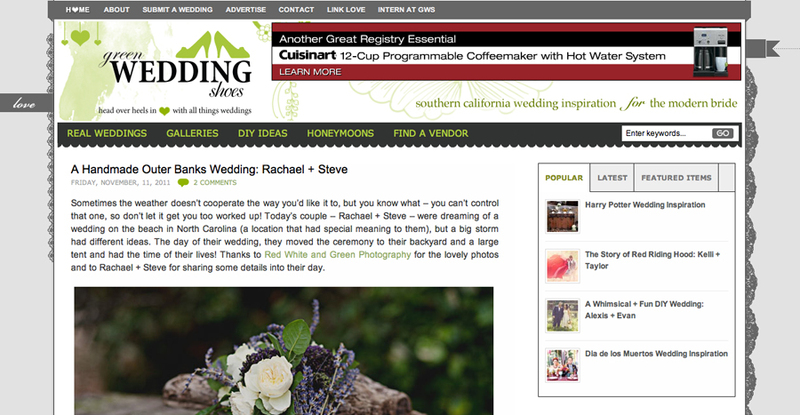 And is you missed Rachael and Steve's whole wedding, you can check it out HERE! Wooohooo! Red White and Green had an eency-weency feature in the most recent issue of Southern Weddings Magazine! This was the plumpest volume of the magazine thus far and it is jam-packed with love for the South. One of those loves is...of course...men in bow-ties. Go by a copy fast! 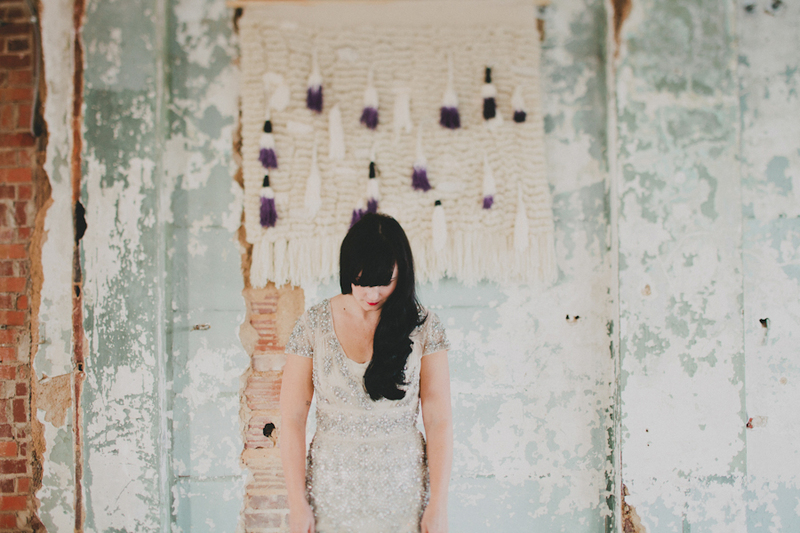 And until then check out the sneak peaks on the Southern Weddings Blog. Annnnddd...if you happen to be in the market for a bow tie check out my friend Erin's bow-tie shop on Etsy!